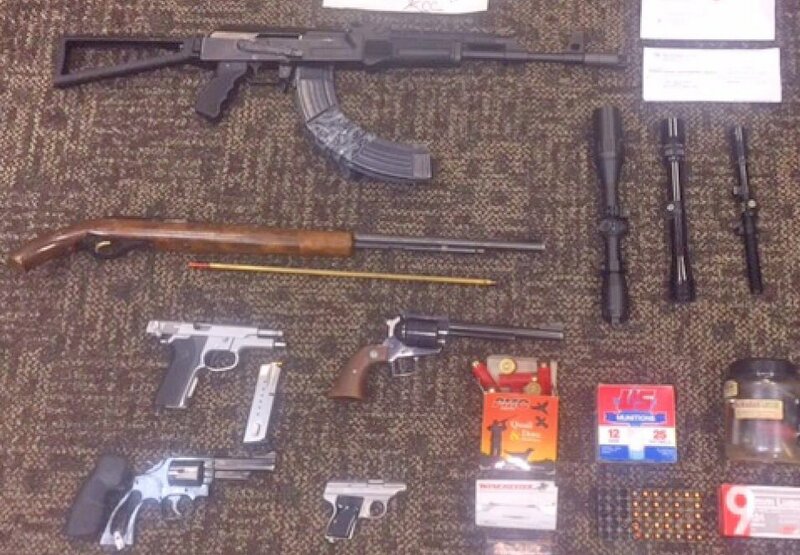 A sheriff’s SWAT team arrested a gang member and seized six guns, including an AK-47-style rifle equipped with high-capacity magazine, during an overnight raid at a Whittier home, authorities said Wednesday. The bust took place about 10 p.m. at a home in the 12000 block of Howard Street, Los Angeles County sheriff’s Sgt. Brian Richardson said. It was the result of an ongoing illegal weapons investigation by detectives assigned to the Operation Safe Streets task force, the sergeant said. Knowing the suspect may be well-armed, investigators elected to have the risky search warrant conducted by specially trained SWAT deputies from the sheriff’s Special Enforcement Bureau, according to Richardson. But the man did not put up a struggle, he said. After deputies cordoned off the home and ordered the man out of the home, he surrendered without a struggle shortly after midnight on Wednesday. Deputies recovered six guns from the home, including an AK-47-style rifle with high-capacity magazines, another rifle and four handguns, Richardson said. Deputies also found rifle scopes and ammunition. The man targeted in the warrant was arrested for weapons violations, he said. Several other people at the home were briefly detained, but not arrested. Detectives withheld the suspect’s identity as they continued their investigation, Richardson said. He was described as a man in his late-30s. This entry was posted in gangs, SWAT, Whittier and tagged guns by Brian Day. Bookmark the permalink.